Can the messages section be moved to the left navigation section? It's confusing how it's like a nested frame. I noticed other people had some similar issues/suggestions w.r.t. getting to your messages section and the styling. Great suggestion. I'm setting this as status-review because we are thinking about how to improve discoverability of the Messages inbox but we don't have a set solution or schedule for it yet. Thanks for the feedback! Not the answer you're looking for? 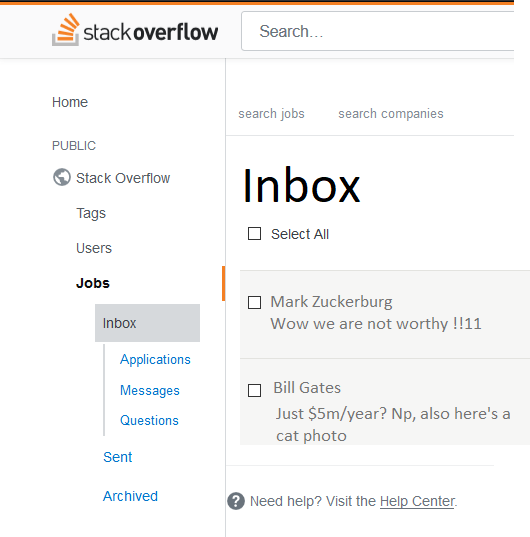 Browse other questions tagged feature-request status-review jobs jobs-messages . The possibility of a programming humor section? 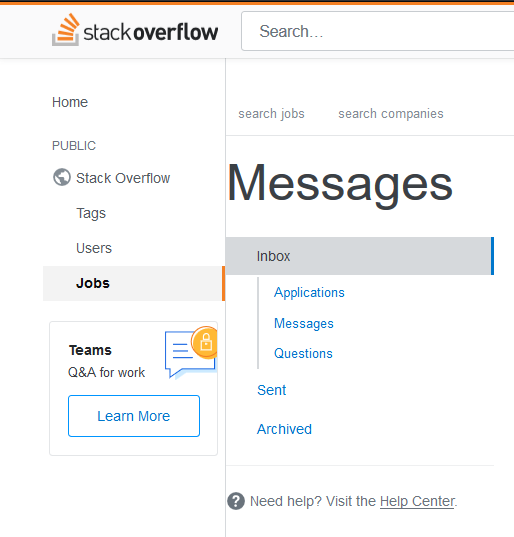 Is markdown supported in jobs messages?